The IPS-20W AC Adapter WIFI Hidden Camera is an easy-to-use surveillance tool that lets you record video covertly in multiple locations. It records full 1080p HD video and you can livestream all your footage online using your smartphone or tablet. It’s perfect for protecting your personal belongings, making sure that your loved ones are safe, or for keeping an eye on one of your employees. 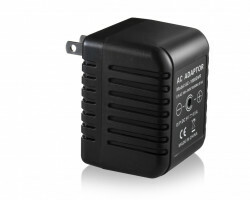 Watch over your home or office 24 hours a day with the IPS-20W AC Adapter WIFI Hidden Camera. 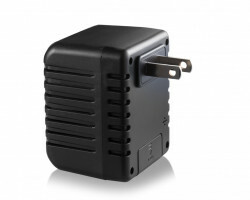 The IPS-20W AC Adapter WIFI Hidden Camera records full 1080p HD video, audio, and still images. It has enough resolution to capture faces and small details from across a large room. The lens of the camera points slightly upward, giving you a clear view of the space. Instead of staring at people’s feet all day, you’ll see exactly who’s coming in and out of the room. You don’t have to be next to the camera to get access to your footage. The IPS-20W AC Adapter WIFI Hidden Camera lets you livestream your videos over the Internet on your smartphone or tablet. Just download the included app and you can view, manage, and download your files from anywhere in the world. If you’re out of town, you can always check up on your property in real-time. The camera will even send you a message when it detects motion on your property. As soon as you see a notification from the app pop up on your phone or tablet, you can login online to see what’s going on in real-time. If you see something suspicious, you can notify your loved ones, a neighbor, or the local authorities immediately. If you’re not the only person that’s in charge of keeping your property safe, up to 10 people can watch the live-feed online at the same time. You can share your login information with your partner, a colleague, or your neighbor. Anyone with the password can login to the app to watch or download the footage. Overall, the camera is designed for long-term surveillance. It plugs directly into the wall, so you don’t have to worry about recharging the battery. It can also store up to 32GB of HD video when you purchase a separate memory card. You can also download files directly to your computer if you need to make more room on the memory card. You don’t have to worry about running out of storage space, even if you’re miles away from home. With its simple design, the IPS-20W AC Adapter WIFI Hidden Camera is extremely easy to use and only takes a few seconds to set up. If you need to record in multiple locations, just unplug the camera and toss it in your bag. You can take it with you when you’re traveling if you want to watch over your belongings while you’re staying at a hotel. Protect yourself from theft and unwanted tampering everywhere you go with the IPS-20W AC Adapter WIFI Hidden Camera.